Universal Orlando® Resort is an entire universe of action, adventure and excitement packed into three great theme parks. These great parks take you and your family to places you never thought imaginable. Universal’s Volcano Bay™ is a water theme park where you can live the carefree island life. 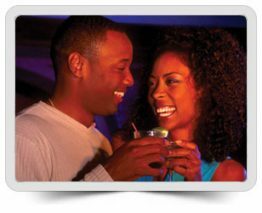 Universal’s Islands of Adventure®and Universal Studios Florida® are adjoined by Universal CityWalk®, offering non-stop nightlife. Universal Orlando® has fantastically themed on-site hotels so you can stay in the middle of all the action! Stay in the luxurious Loews Portofino Bay Hotel, the exotic Loews Royal Pacific Resort or even the electrifying Hard Rock Hotel®. If you have a thing for retro then choose Universal’s Cabana Bay Beach Resort. Heroes rise, inhibitions fall, movies come to life, and the laws of physics are tossed out the window at the Universal Orlando! Spend your vacation at these three great theme parks and Vacation Like You Mean It! Take a step beyond the screen, behind the scenes, and into your favorite action films and TV shows like E.T., Men In Black, Despicable Me, Transformers and The Simpsons at Universal Studios! Universal Studios is known as the world’s premier movie and television based theme park. With a wide array of amazing rides, shows, movie sets, attractions and more, it is easy to see why Universal makes YOU the star. All your favorite myths, legends, comic books, cartoons, movies and children’s stories come to life through cutting edge rides and attractions at this unforgettable theme park. Experience The Wizarding World of Harry Potter™ – Hogsmeade™, hang with Spider-Man™ and visit Jurassic Park®. This journey will challenge your senses as you explore the amazing lands at Universal’s Islands of Adventure. Experience a tropical paradise with relaxation and thrills like no other. Find excitement along with an oasis of laid back luxuries that create an entirely new kind of vacation adventure at the all-new Universal’s Volcano Bay™ water theme park. Experience the mystery, the humor, the euphoria and the indescribable celebration of art, technology, and music that is Blue Man Group at Universal Orlando Resort. It combines science and laughter, and makes for an explosive evening of entertainment. Dance, shop, drink and see it all at Universal CityWalk, the Entertainment Capital of Orlando℠! CityWalk® is located directly between Islands of Adventure and Universal Studios. Here you can walk from some of Florida’s most popular restaurants to Florida’s hottest clubs. Add in trendy shops and a state-of-the-art movie theatre and CityWalk has everything to make your night come alive. How are we able to discount Universal Orlando tickets? Sheer bulk. We purchase large volume orders and we pass the savings to you. TicketMomma is one of the largest ticket brokers in the Central Florida area. All of our agents work on a non-commission basis. We are here to help you build a custom package that will suit your needs, NOT to up-sell you any items. Call us now, we’d love to offer any advice or address any questions you may have. For additional savings, you may call our sales representatives at 888-206-6040 for any possible daily specials on Universal Studios, Islands of Adventure, or CityWalk. Momma Recommendation #1: With three amazing theme parks, you’ll need at least three days to experience it all. Momma Recommendation #2: Only Park-to-Park Admission Tickets will allow you to experience the magic and excitement of BOTH The Wizarding World of Harry Potter™ lands (Diagon Alley™ and Hogsmeade™) PLUS the Hogwarts™ Express*! *Additional restrictions may apply.